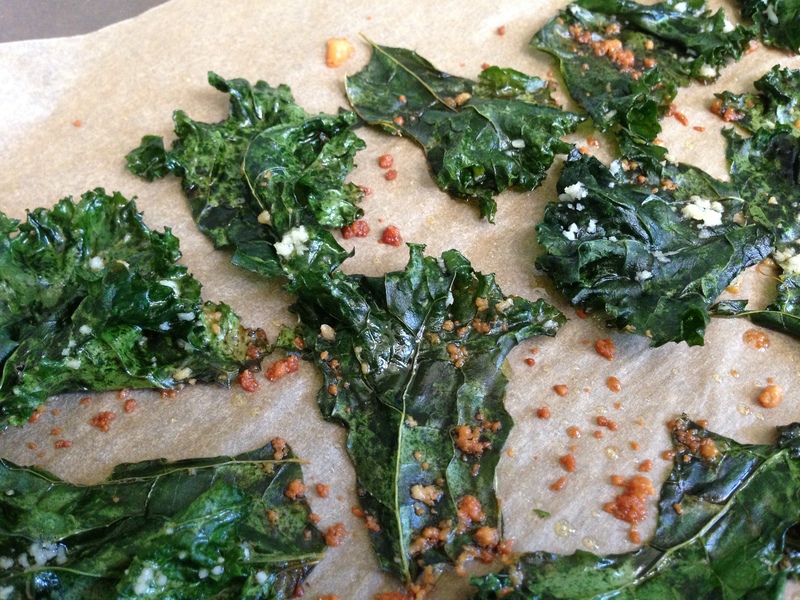 kale chips | what is clara eating today? clara and ellen’s new favorite side dish & snack. 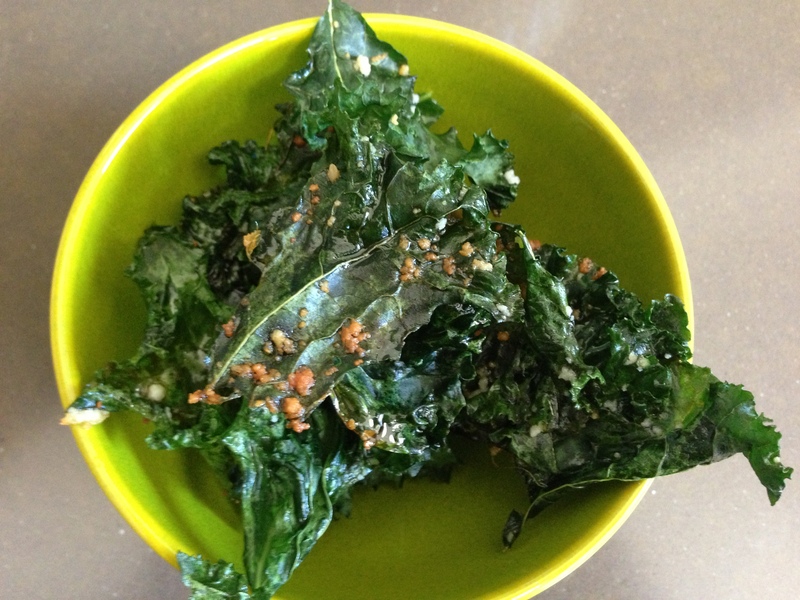 Wash the kale leaves very clean and blot it dry with paper towel. Tear the leaves into small pieces, about 2in x 2in size. Place the leaves on a baking pan lined with parchment paper. drizzle with olive oil and salt & pepper. Mix well to coat the leaves. Spread out the kale leaves to make sure they are not overlapping. Sprinkle the parmesan cheese. Bake at 275 for 15-18 minutes.